wow peeps, it has been a busy few weeks! however, generally when that happens a few good stories come out of the mix. let’s first talk about america’s got talent. i had a the pleasure of working two 14 hr days watching america’s mid-western folks audition to make this crazy show that airs on nbc. i don’t know if i left with the impression that america has talent or america is truly crazy. i think it was a mix. have you ever seen a grown man seriously try to lasso a vacuum cleaner while riding around on a stick horse? i met this guy too. the first day i was standing right behind nick cannon who is the host of the show without knowing who he was other than having an inkling that he was someone famous. he did have body guards so that was enough to tell me he was somebody, not to mention he looked slightly familiar. turns out not only is he the host of the show but he is mariah carey’s husband as well. who would have known?! everyone. 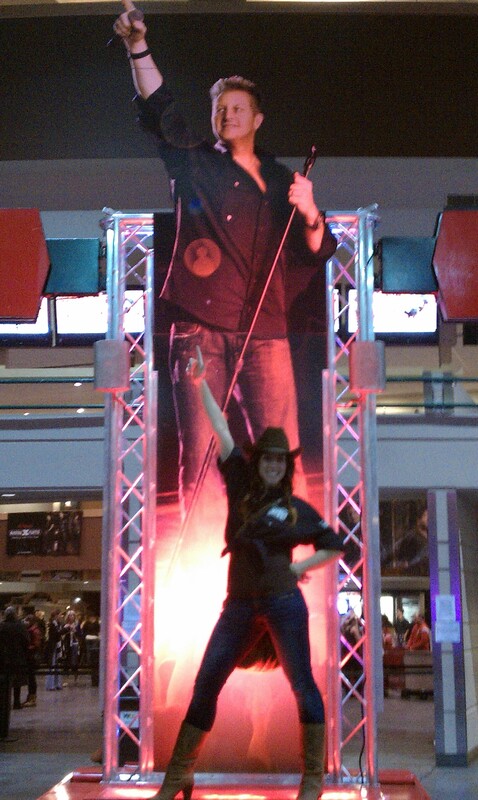 in between checking out what america has to offer i was living up my dream as a cowgirl pretending i was famous. maybe some day i too can have a life size figurine of myself. cheers to living the dream…or at least pursuing it.